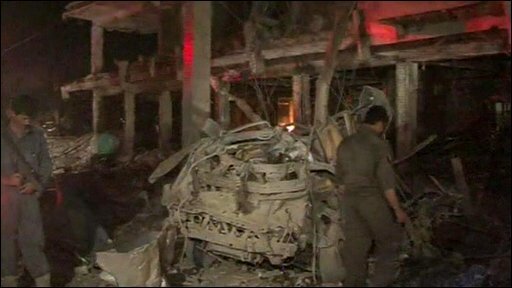 A massive car bomb explosion in the southern Afghan city of Kandahar has killed dozens of people. Scores more were hurt as buildings collapsed in the attack in the centre of the city, doctors said. The explosion took place shortly after the first results were announced in the presidential election.